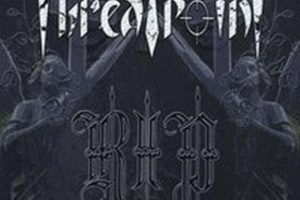 Bringing their brand of groove-oriented heavy/thrash metal to the masses on a DIY basis, Threatpoint have been a solid entity since their start in 2012. 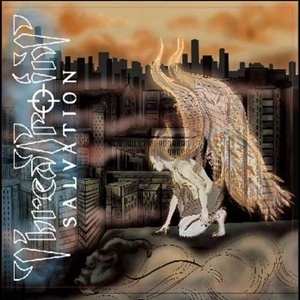 Continually releasing new product and touring wherever they can beyond their PA base into all parts of the USA, they are now on their fourth album with Salvation. The five-piece has shifted out certain members as can be expected given the level of commitment and family/career balance that can challenge individuals at their level, and yet overall the band has come out sharp, focused, and dedicated to delivering an addictive brand of heavy metal that galvanizes the listeners and provides a boatload of entertaining moments in the process. The foundation of the band’s style adheres to a strong hook/groove ethic at its core – the tempos can be slower and Sabbath-esque during “Godzilla” or power/thrash-oriented with some Prong meets Testament flash for “Iron Meets Iron” – allowing for complimentary guitar situations as well as exciting transitions. Drummer CJ Krukowski lays down serious double kick technique and shifting snare hits plus fill combinations that rival the best in the thrash/heavy metal domain right away on “Save Your Apologizes for God” – laying back when necessary for Chris James’ call to arms vocal work. Echo guitar effects build into melodic twin axe activities to make “Heavy Lies the Crown” standout, the extra clean ‘mercy’ nuance and calmer mid-section giving the track another twist to the expected pounding riffs and slamming rhythm nature of the arrangement. It’s difficult to stand still when hearing many of these songs – the intent to lift bodies and shake them around, especially in pit-friendly confines which “Fire In Your Eyes” certainly delivers, even as Chris slithers between a mysterious verse delivery and his obvious skillset at fierce screams. Although most of the material rarely pushes past the five-minute mark, the closing title cut at 7:13 features everything from a semi-march intro to crazed thrash wah-wah solos, a potent speedy foundation that leads into a circular, riff-o-rama finish. 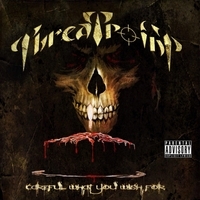 Threatpoint have multi-genre appeal because of their diversity as far as influences and styles they can blend together to make a sound all their own. Melodic hard rock, groove metal, thrash, and heavy metal all come to mind – making Salvation another wonderful outing that hopefully will give the band an even stronger foothold in the scene.